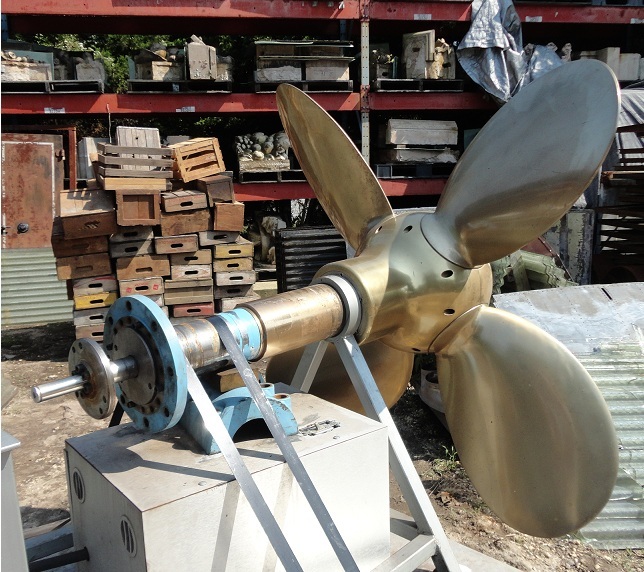 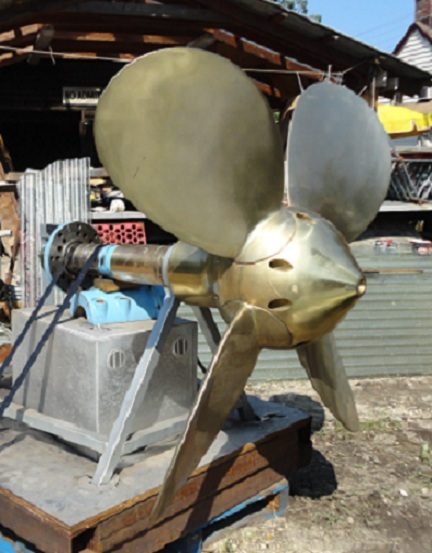 Very large and heavy solid Brass variable pitch propeller from a large ship or yacht. 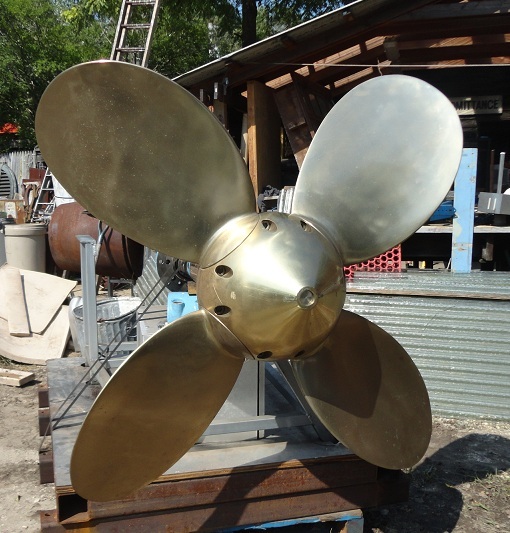 Measures approximately 63" diameter, 24" deep to shaft and 54" deep including shaft. 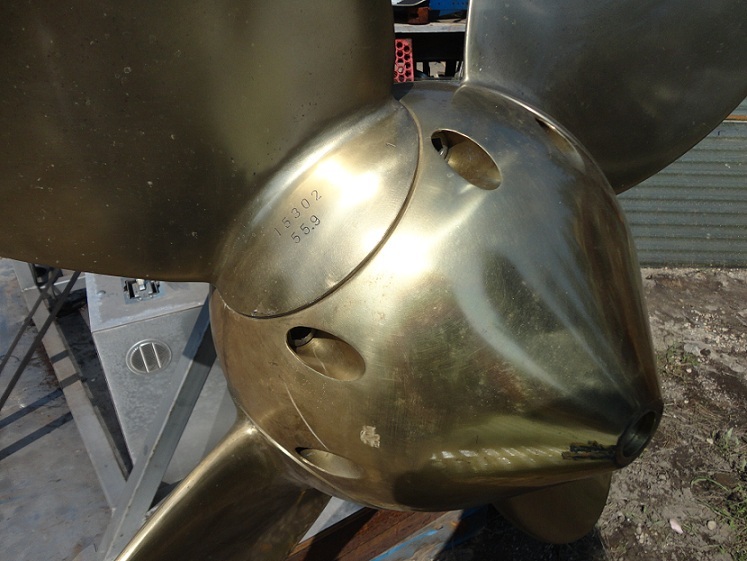 No viible markings except for etched numbers (15302 / 55.9) on each blade.